If you are looking to sell products online, Shopify is probably the easiest way to get a professional looking store up and running in no time at all. Shopify is great because its a web service which doesn’t require you to install anything yourself – the whole process is managed via their website but they also offer many powerful features, extensions and themes that you would normally associate with more complicated eCommerce technologies. 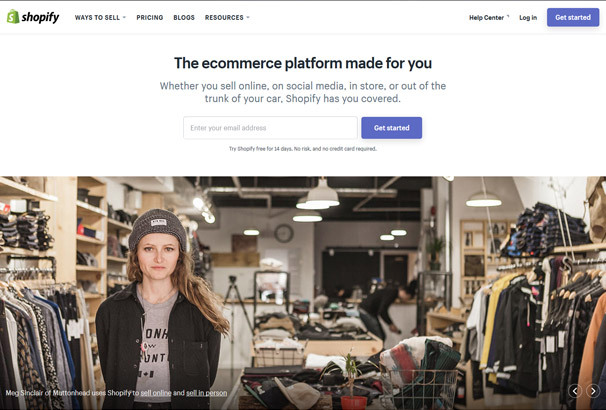 If you are a beginner when it comes to setting up websites and especially eCommerce sites, then we recommend you use Shopify over another solution such as WooCommerce, it’s a lot more user-friendly and should be able to open your store with no trouble at all. The most important part will be adding your content to the site – make sure you use high resolution, good quality photos of your products – hiring a photographer to do this for you would be the best bet as poor quality images are proven to put people off buying. If you would like to sell technology related items online, such as computer software / hardware, gadgets, audio products, phones, household gadgets or anything else tech related then this collection is for you. We have put together a list of over 50 Shopify Technology Themes, take a look below and choose the theme which best suits your products and branding. All the themes have modern designs, are responsive, SEO friendly and fast-loading. 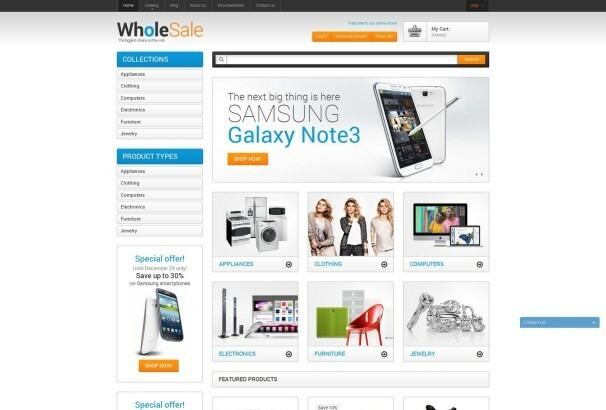 Wholesale Store is a really responsive and multipurpose website theme that is perfect for all sorts of online stores. Not only does the theme come with a really engaging layout, it also comes with a lot of amazing features that make this theme highly customizable and user friendly. This e-commerce website lets you read and acquire user feedback whenever you want and also holds things like galleries, built in contact form, social sharing and a homepage slider as well. Whatever you’re selling, Wholesale Store promises to help you bring in more sales and greater profits. Home Office Tech Gear is a really creative and contemporary website theme that helps you create a really modern and complete online tech store. This particular theme helps you create a really professional website without having to do any of the work. The theme comes with a really creative and interesting layout with a catchy colour scheme which make the website really easy to navigate. In addition to that the theme also comes with a lot of great features including sidebar navigation, category and brand filter among other things that contribute to creating a really amazing website. 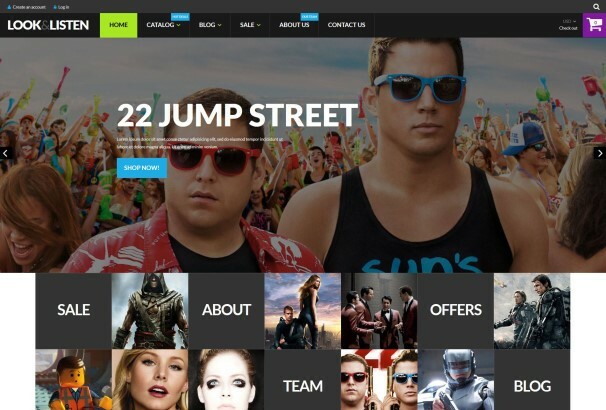 Video Store is the ultimate website theme for all online video stores. 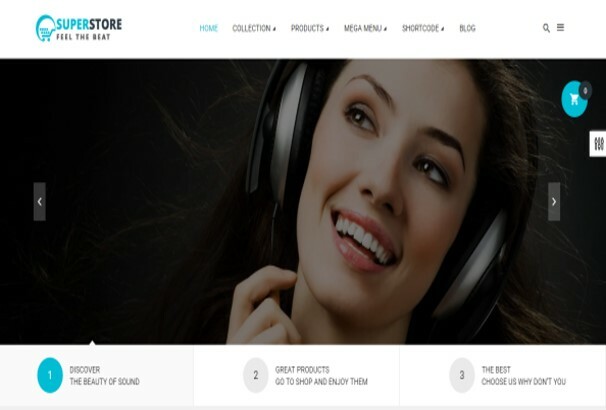 This e-commerce theme comes with a really clean and simple interface that allows you to display all your products in a really charming and appealing way. The simple and clean layout paired with the subtle colour scheme gives your website a contemporary vibe and makes it easy to navigate. In addition to that the theme is very organized and systematic and has a number of great features including a filter search, a main slide, gallery and contact information section as well. Look Listen Play is a complete website theme that is perfect for music, movies and gaming related content. The interface for this theme is really lively and energetic and makes your website come to life. 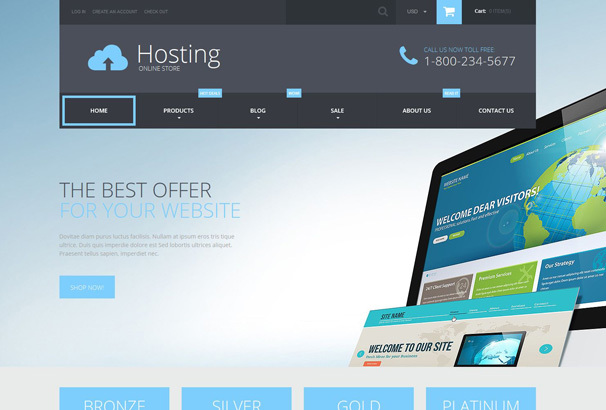 This trendy website theme helps users create a really modern and efficient website. With its striking neon colours the theme truly makes your content shine. The theme also comes with a lot of amazing features including buttons, text fields and huge touch friendly banners that make navigation of your website and shopping a really fun and easy experience. 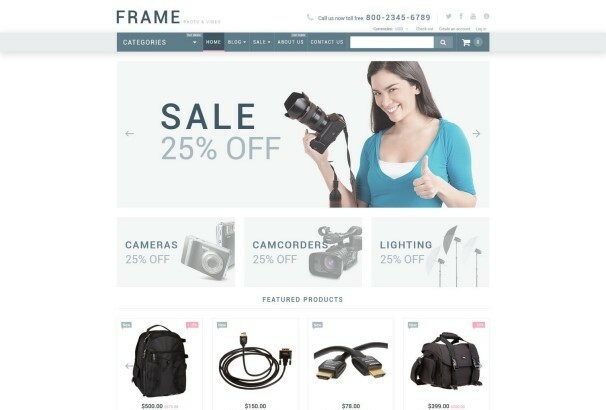 This highly responsive and multipurpose website theme is the ideal theme for online computer stores. The theme comes with a really engaging and colourful interface that displays your content in a tile-based style. The revolution slider for this website allows users to easily navigate the website and provides them with the ultimate shopping experience. In addition to other amazing features Computer Store also comes with social media sharing options and quick and easy profile creation as well. 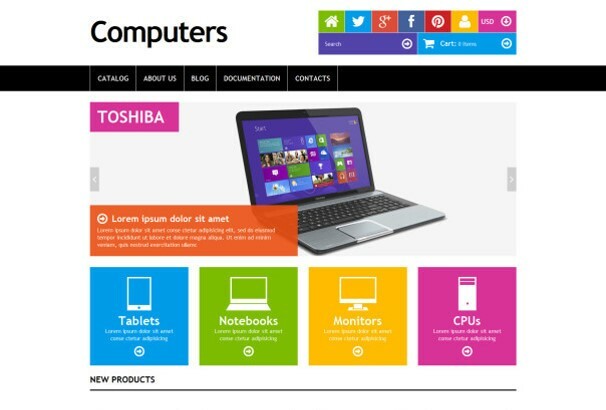 Computer Hardware is the ultimate website theme for all the vendors and businesses that deal with the provision of computer hardware and parts. This theme helps users create a really unique and creative website for their business. The theme comes with a really clean and minimal interface that displays all your products and content in a really charming and subtle way. In addition to that the theme comes with a lot of great features as well that add to the sophisticated feel of the website. Using this particular theme you get to provide your users with the ultimate shopping experience. The theme runs amazingly on all devices and browsers with a really fast speed. 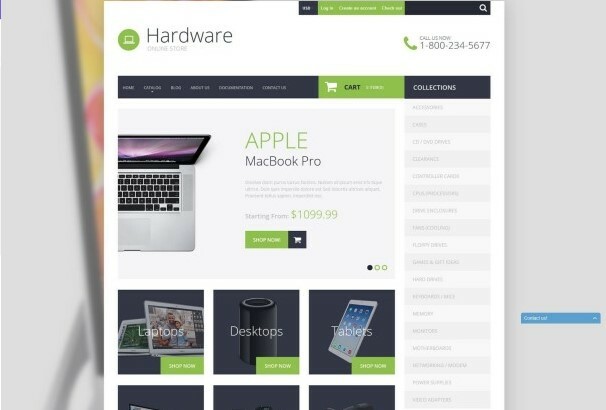 Another amazing theme for all the people and businesses selling hardware online, this theme caters to all your needs and preferences. The theme comes with a really subtle white and green colour scheme that displays the perfect blend of light and dark elements. This them also makes use of high quality imagery and product description as well to provide users with the ultimate shopping experience. Smart Hardware also comes with a sidebar menu, smart product categorization and a really clear search bar that help you create a complete and fast website. 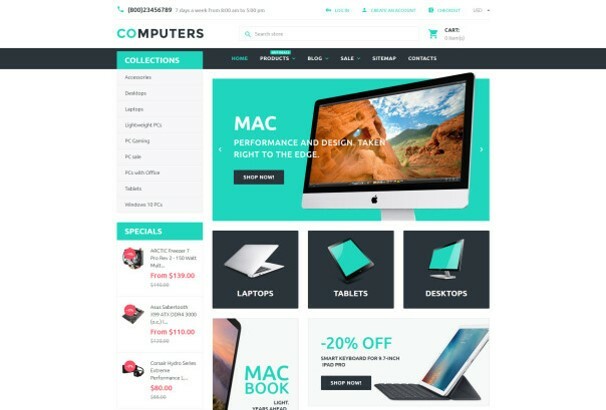 Computer Store is a really modern and creative Shopify website theme that allows users to create their complete online store. 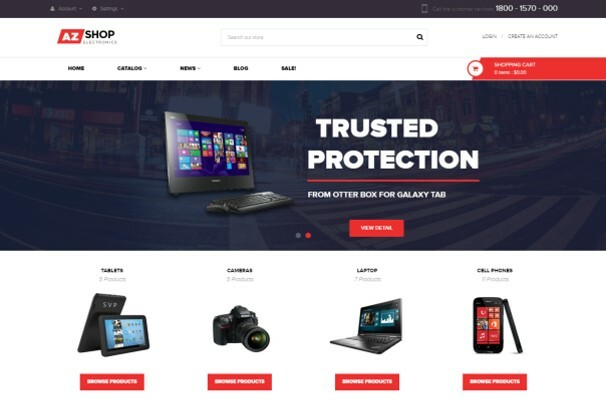 This versatile website theme is ideal for people and businesses that deal with selling electronics and other tech-gear. The theme comes with a really engaging interface with a blue and silver colour scheme that gives your website a really futuristic vibe. In addition to the design the theme also comes with a lot of great features. The fact that the theme is so organized makes the website really easy to navigate and provides users with an amazing shopping experience. 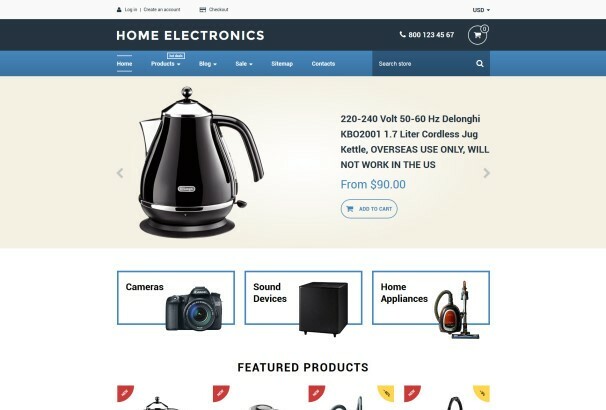 Computer Sales is a website theme using which you get to create a really amazing online store that deals with selling electronics like computers and other technology. The theme comes with a really simple and minimal design that makes navigation easy. In addition to the stylish design the theme also comes with a lot of great features including six different colour blocks, shopping direct from the homepage and an amazing template that makes your website and content shine and stand out. With all its perks the theme promises to appeal to your viewers and help you gain followers and sales. Web Hosting Services is a website theme that is really unique in both its design and the functions that it provides. This website theme is really easy to install and setup and provides you with a really amazing and professional website in no time. The theme comes with a really simple and minimal interface that is not only easy to browse and navigate but also makes your content stand out and shine. 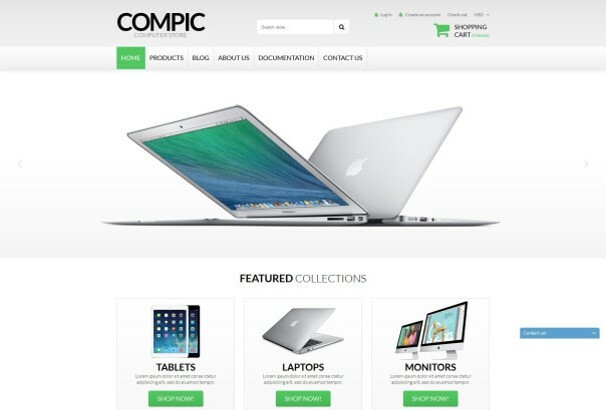 Computers is a really versatile and multipurpose website theme that is ideal for selling all sorts of electronics and tech products. This particular website theme comes with a really creative and elegant interface that makes use of colours and style to add more charm to your products. In addition to that the theme also comes with two different menus, a sidebar category list and a separate mega menu that also has labels. This Shopify theme is perfect for supporting a number of currencies and is therefore one of our best selling themes. 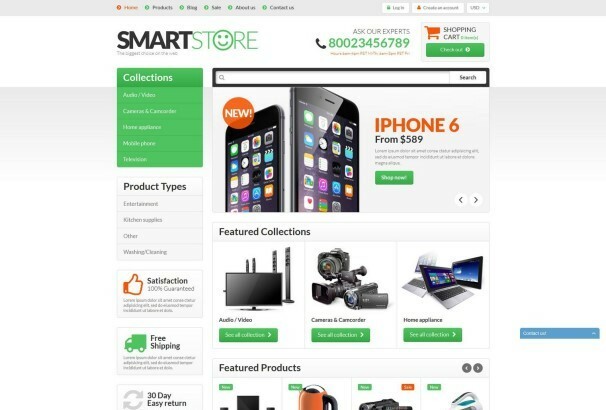 Mobile Store is a really creative and dynamic website theme that is the perfect e-commerce theme for selling electronics and other tech products. Particularly designed to help sell mobile phones this theme has everything to not only make it really stylish but really professional as well. This theme comes with a main slider that displays all the main content of your website in a tile-based design and makes your website easy to navigate. In addition to that the theme also runs with an amazing speed on all devices and browsers. This theme is the ultimate go-to theme for all the people that want a really creative and unique website in no time. 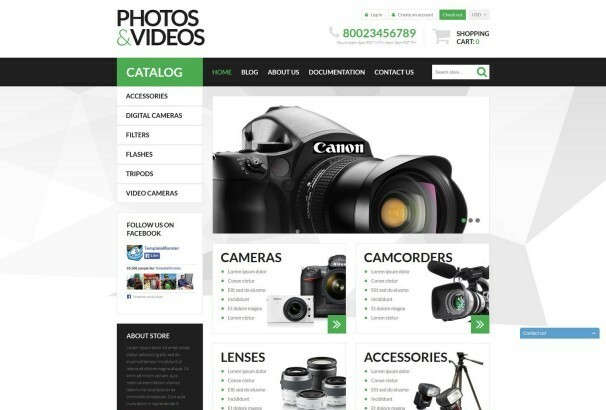 This particular website theme is perfect for all the people and businesses that want to sell photo and video technologies including cameras and other devices. This website theme has a really simple and minimal interface that gives the most space for you to display your products through imagery. The theme also has a really professional and subtle colour scheme. In addition to that the theme is really organized and systematic and helps you create a really professional and creative website. 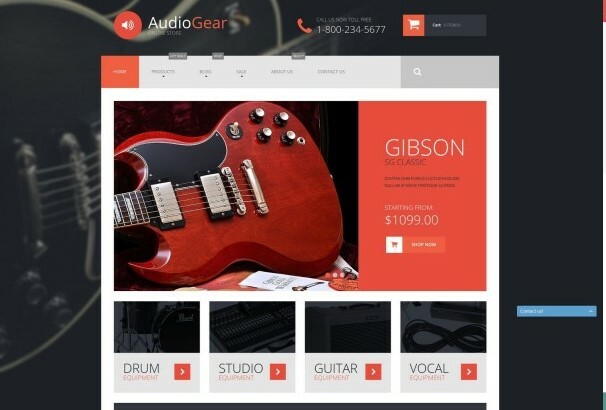 The perfect website for those that deal with musical instrument sale, this theme helps you create a website that is all about music and instruments. Musical Instruments comes with a really responsive and classy interface with a red, white and black colour scheme and a really organized and structured interface. THe theme also is built on strong technology that makes it run amazingly on all devices with a really high speed. 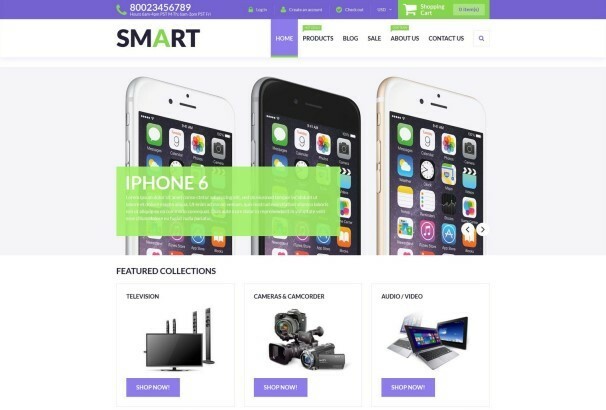 Smart Store is a really smart and professional multipurpose website theme that is perfect for selling all sorts of products in particular electronics and tech products. The theme comes with a really simple and minimal interface that gives you a lot of space to display your products so as to gain more sales and customers. The theme has overall a really professional and subtle vibe which makes your products actually look good. Perfect for pretty much everyone, this theme helps create a really professional and contemporary website. 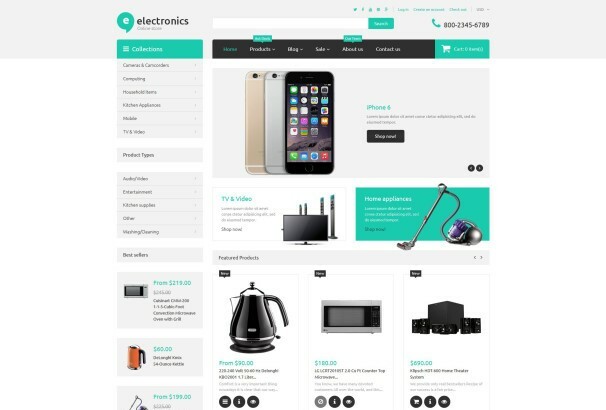 Electronics Store is a really responsive and stylish website theme that helps users create a really amazing and contemporary website. Whatever you are selling, this theme has got you covered. The perfect theme for electronics and other gadgets, the main slider for this theme gives most space to your products and highlights them, making them stand out. With the main slider and its clarity the website in general is really easy to navigate which makes shopping easier for all your customers. 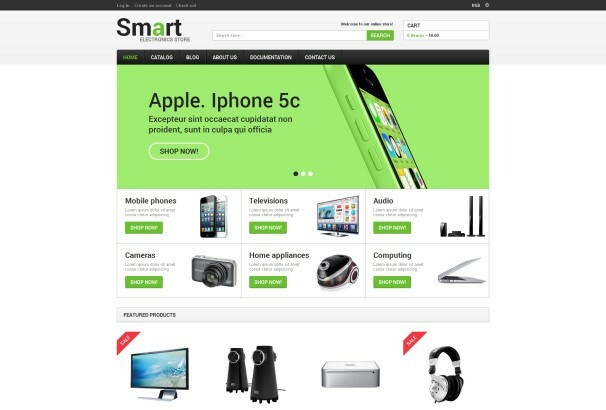 Smart Gear is a really responsive and contemporary website theme by Shopify. 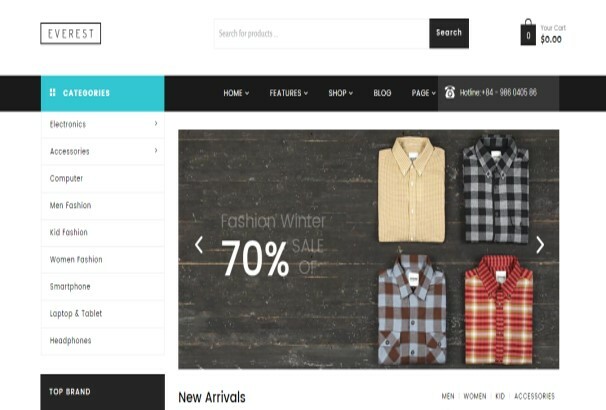 The theme comes with a really creative and unique interface that minimizes all the clutter and gimmicks and gives the maximum attention and space to your products. The negative space is really smartly utilized which gives a clean and simple vibe to your website. With this particular theme you get to create a really professional website for yourself that promises to help you gain more sales and more profits. 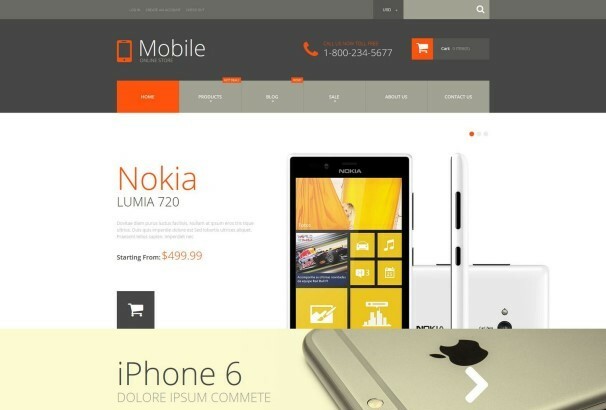 Mobile Phones is one of the most stylish and creative Shopify themes that we have. The theme has one of the most creative designs that we have. It comes with a grey and orange colour scheme that is really stylish and classy. In addition to that the interface is also really clean and minimal that allows you to display the maximum amount of content of your website on the main page. 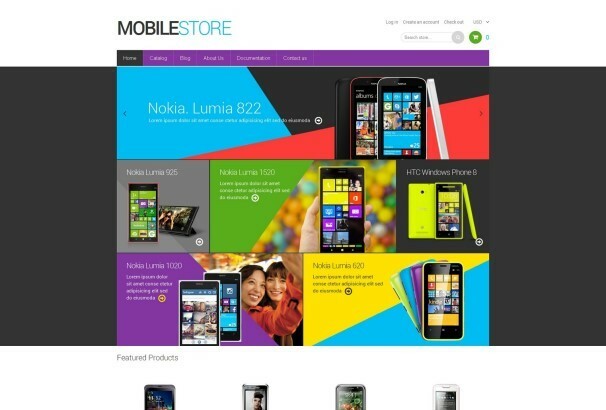 Mobile Phones is one of the best themes that we have for mobile phone stores and comes with really amazing features as well which include the footer with information and four separate columns for showcasing content. 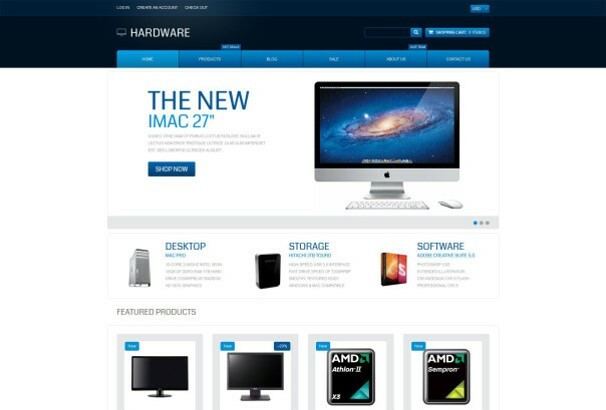 Electronics Retailer is a really simple and minimal website theme that is highly versatile and multipurpose. Although one can sell all sorts of products using this theme the ideal product is electronics. The theme comes with a really simple and minimal interface that organizes your website and the content in a really creative way. This theme allows you to display all the major content on your website through the main slider. In addition to that the theme comes with a high speed and efficiency and runs smoothly on all devices. 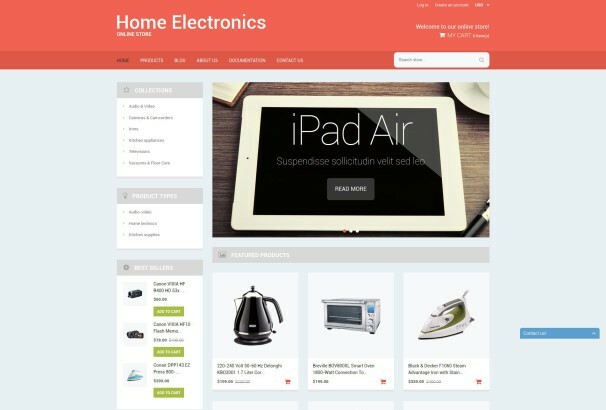 Home Electronics is a website theme that is designed particularly for people and businesses that deal with selling home electronics and appliances. The theme comes with a really simple and professional layout. With a colour scheme of blues and white the theme gives maximum attention and focus to your products making them shine. In addition to that the theme runs flawlessly on all sorts of devices be it a cell phone or a desktop. 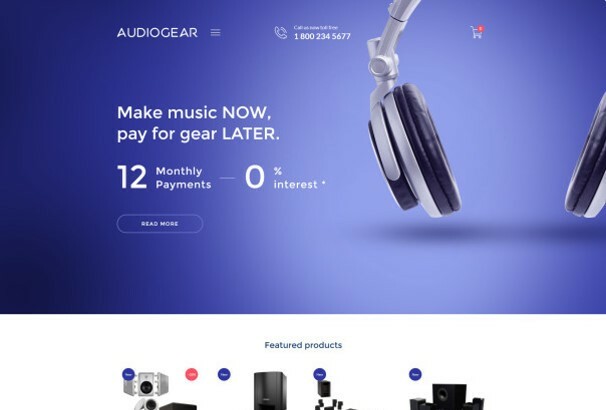 Powered by the amazing Bootstrap technology, this theme is the ultimate website theme for selling audio gear and products. The theme comes with a really professional and contemporary interface. With its sleek blue and silver colour scheme and the subtle imagery, the theme makes your website really easy to navigate. All your content is displayed in blocks with a lot of negative space that make the focal point of your website the products. This particular theme is so well coded that it not only runs amazingly on all devices, it also hold a live chat feature so you can stay in touch with your customers. 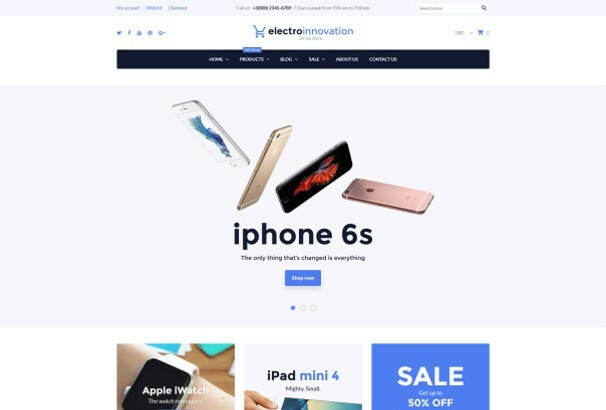 True to its name, Electro Innovation is a really innovative and creative website theme for selling electronics and all sorts of tech products. The theme comes with an interface so engaging that it truly captivates all your viewers. The layout for this theme truly advertises your products and makes them shine. In addition to that the theme also comes with a lot of great features that include a featured products section, social media sharing buttons and a lot of other features that help you to create a really dynamic and sleek website. Ghoster is a really modern multipurpose Shopify theme that helps you to create a really dynamic and versatile e-commerce website. 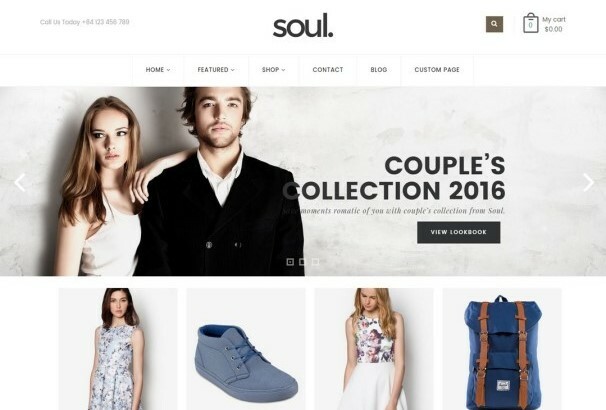 From fashion to accessories or even furniture, this website theme with its neutral colour scheme and design is perfect for all sorts of products and content. The theme comes with a really mellow and chic layout. The main slider allows you to showcase your products and gain the maximum attention. In addition to that the theme runs with a really high speed on all devices and screen sizes. VERUS is a really multipurpose website theme that helps users create really amazing e-commerce website. With the powerful AJAX product filter the theme provides you with a really easy to use website and provides the customers with the ultimate shopping experience. In addition to that the theme comes with a lot of amazing detailing in the interface which makes it all the more engaging. This theme promises to help you increase your sales and your profits. Megatron theme is a really modern and contemporary website theme that truly makes your website really attractive. The theme comes with a lot of amazing mellow colours and presents your products in a really striking way so as to make them shine. For all the people and businesses that have a thing for beauty, this website theme helps create a really stunning and aesthetically pleasing website. 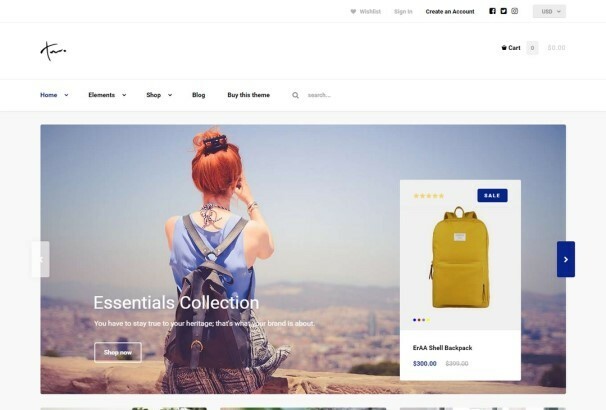 Leka is a really modern and contemporary website theme that is one of the most creative e-commerce Shopify themes that we have. 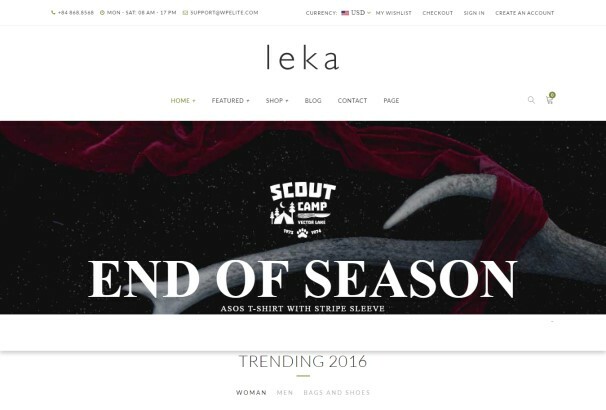 The perfect theme for selling fashion products, accessories, technology or even furniture, Leka with its responsive interface is perfect for everything. With a subtle font style and simple interface Leka puts the most attention on your products and makes them shine with ease and efficiency. 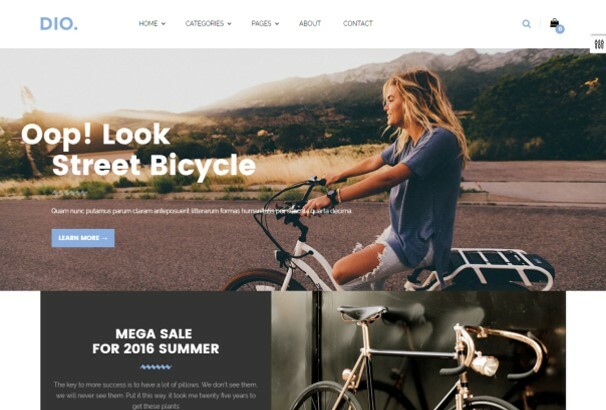 One of the most modern and contemporary website themes that we have, Everest has a really chic and hip design that is so flexible that you can sell pretty much everything using this theme. 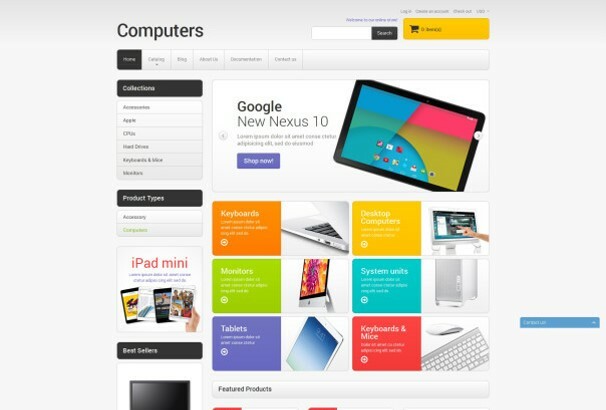 The theme comes with a really organized and structured interface that puts the maximum focus on your products. In addition to that the theme also is really easy to navigate and provides your visitors with a really amazing shopping experience. The ultimate responsive website theme, this theme is one of the most modern and contemporary themes that we have. Using Soul and its amazingly minimal interface you get to sell everything with a style and charm that is very uncommon. This flexible theme is also highly efficient and runs with an amazing speed on all devices. As obvious from the name, Everything is a website theme that allows you to sell literally everything on your e-commerce website. The theme is developed by an elite author by ThemeForest and is highly responsive and compatible with all devices. Everything is built on the amazing HTML5, CSS3 and W3C technologies making this theme one of the most flexible and easy to use themes we have. Adding to its customizability the theme also comes with more tan 30 ready made designs ready to be used. This particular website theme has a really modern and contemporary interface that helps you build your website layout in a really clean and charming way. 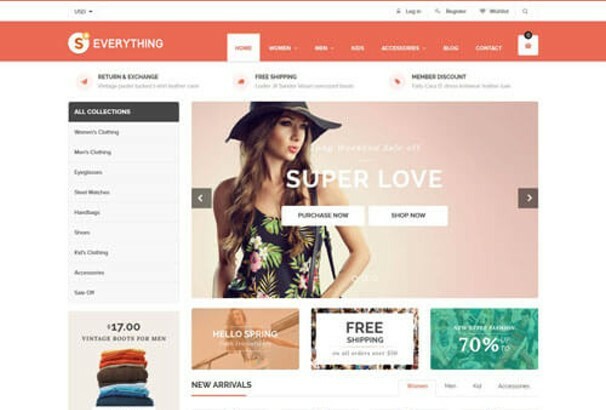 Built and designed with a lot of effort and thought, this theme was created with the sole purpose of providing users with a really easy and enjoyable shopping experience. 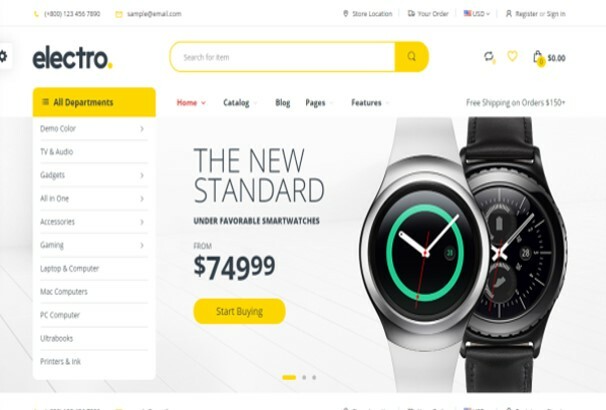 The ultimate website theme for selling technology and all sorts of electronics, this theme has both the design and the efficiency to make this theme one of the best e-commerce themes that we have. Not only does this theme come with a really engaging interface which displays all your products in one place, it is also highly customizable with the customizer so you can put your own spin on your website. 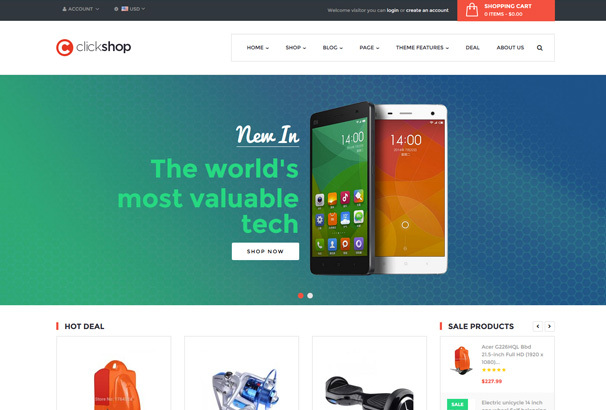 Leo Material Store is a website theme with the amazing Shopify technology. The theme comes with a really amazing simple and sleek interface that gives your whole website a really clean and contemporary look. In addition to that the theme runs amazingly on all devices with a really high speed. Powered by the amazing Leo Framework, this theme is one of the best e-commerce themes that we have. One Shop has a really responsive and engaging interface that makes your products shine. The theme is so versatile and flexible that using it you can sell pretty much all products you want. In addition to the contemporary design the theme also has high efficiency and practicality making it one of the best themes that we have. This particular Shopify theme is a really multipurpose and flexible website theme that has a really clean and contemporary design. The theme is not only amazing for its interface, it also comes with a lot of great features. One of these features is the amazing main slider that displays all your main content in one place putting all the attention on your products. 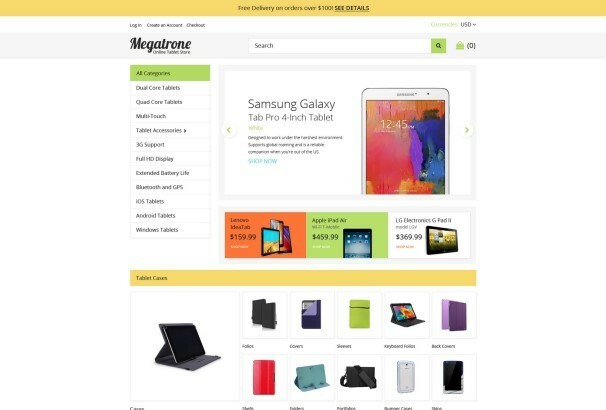 A really contemporary, simple and minimal website theme, Megatrone is perfect for all sorts of e-commerce website themes. This theme is really flexible and multipurpose and is ideal for all websites selling whatever it may be. Not only that, the theme also comes with a mega menu that is highly customizable and helps users create an all in all amazing website. The theme also comes with product badges so your customers can easily gain information and updates about your products very quickly. To top it all off the theme also comes with multi-currency support and is really user friendly. 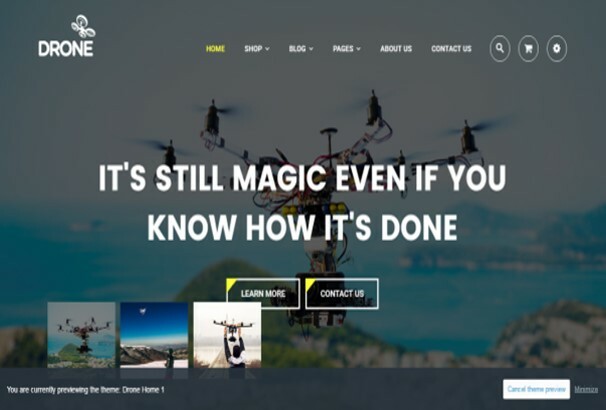 Drone is a single product theme that is particularly designed for selling drones. 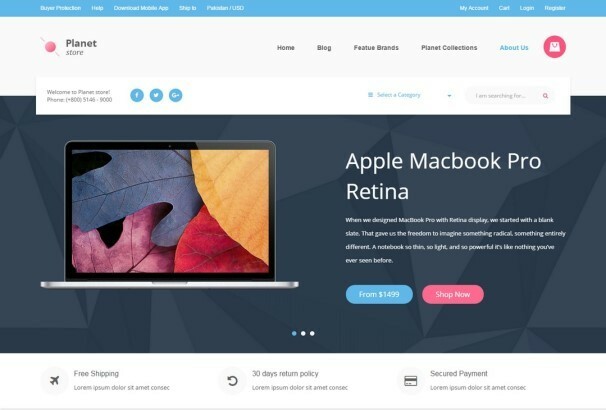 Not only does this theme comes with a really clean and simple interface, this particular theme also comes with around three home page designs, and is also compatible with the amazing Shopify 2.x. 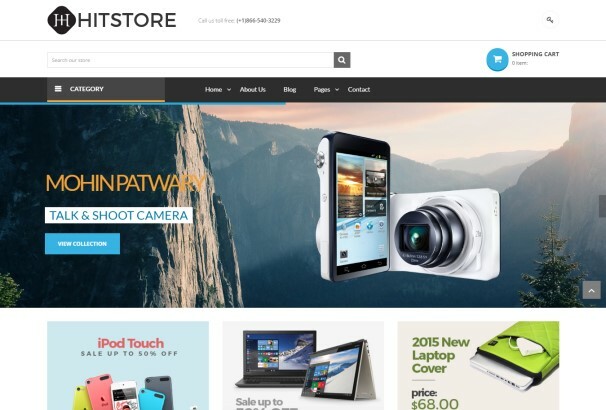 Histstore is a really modern and stylish website theme that is designed in particular for selling electronics and tech gadgets. The theme comes with a really amazing layout that automatically adjusts itself to all screen sizes and resolution. In addition to that the theme also has around four defined layouts for the homepage that one can choose from and make the website their own. A creative and unique thing about this theme is that you can even combine homepages to create your very own unique homepage. 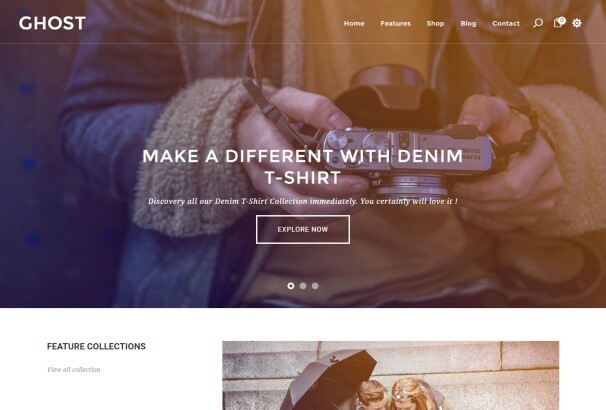 Ap Dio is a Shopify theme that comes with a lot of amazing features making it one of the most flexible and contemporary website themes that we have. The theme is multipurpose and so stylish that using this you can sell pretty much all sorts of products that you like. In addition to that the theme comes with a really engaging interface that displays all your content in one place. In addition to that the theme also comes with a lot of great features including a really high speed using which the theme runs amazingly smoothly on all devices. Azshop is a multipurpose Shopify theme that is designed to help you sell all sorts of products A-Z. From a fashion store to an electronics shop this theme has got you covered. The theme is built on the amazing CSS3, HTML5 and Font Awesome 4 technologies and helps you create a really amazing and efficient website for yourself. With its sleek design the theme pleases the visitors and with its amazing features including four different homepages, the theme truly captivates the users and brings in greater sales for you. 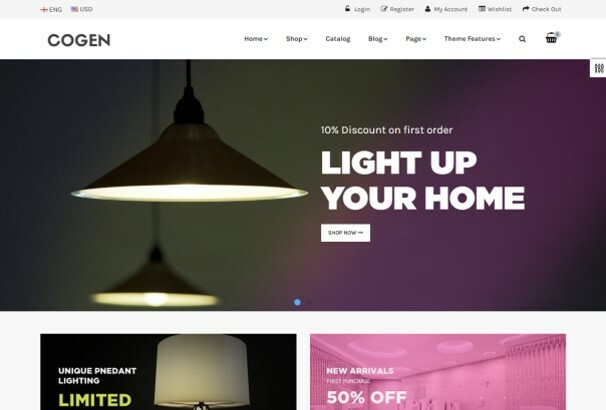 AP Cogen is a really unique and special website theme that is designed in particular for selling household lighting products. This theme comes with a really responsive interface that has a really simple interface. Making use of warm colours that make the white font and imagery stand out, Ap Cogen gives your whole website a really subtle and creative feel. Built on the powerful CSS3, HTML5, Bootstrap 3, Font Awesome 4 and shortcodes, this website theme helps you create a website that is not only very aesthetically pleasing but also runs with an amazing speed on all devices. 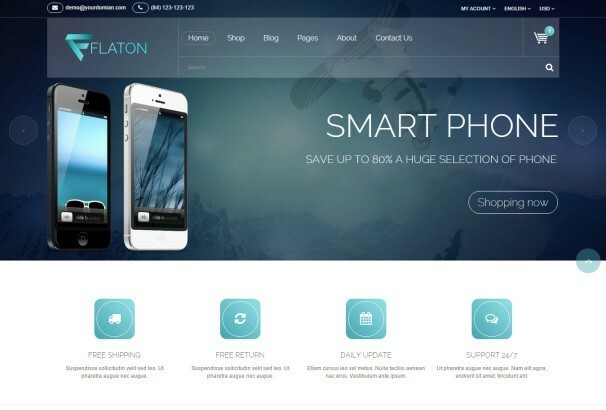 Flaton is a really responsive and creative Shopify theme that helps users build a really sleek and modern website. This theme is perfect for all sorts of electronics and tech stores. The theme comes with a really stylish and contemporary colour scheme that adds an extra appeal to your products and your product. In addition to that the theme also comes with a lot of great features that help you create and manage your complete online store very easily and effectively. This particular theme was designed to be the ultimate theme for online cosmetics, beauty and fashion store. This theme has a really modern and contemporary design and focuses on exactly what matters which is your products. The theme is built on the amazing CSS3 and HTML5 technologies that combine and provide you with a stunning and highly efficient website. Electro also has JS animation that makes this theme highly responsive and engaging. 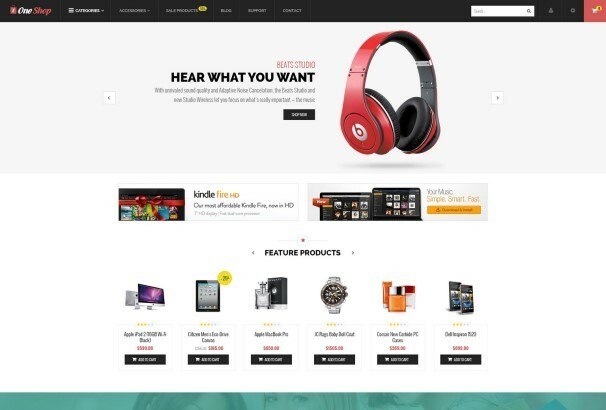 One of the most creatively developed theme, Electro has everything an online store should have.